These prestigious awards are designed to recognise and celebrate achievement throughout the scope of the European plastics recycling industry. They offer an insight into current developments in recycled material usage, product design and innovative manufacturing. The inaugural awards launched by Crain and Plastics Recyclers Europe received tremendous support from the industry and gained extensive coverage in the media. The quantity and quality of entries received was unprecedented. 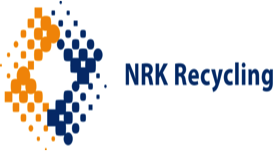 The successful shortlisted finalists were on display in a feature area at the Plastics Recycling Show Europe on the 10-11th April 2019 at the RAI in Amsterdam. The award winners were announced at PRSE on 11th April 2019 - see who won here!